The premiere of the 3-D ballet “The Snow Queen” opened on November 15th on the stage of N.V. Lysenko Kharkiv Theatre of Opera and Ballet. After the performances in Kharkiv the ballet will be shown in Belgium. Gerda, of course, will save Kay, the mime will help her in it. A cold heart of the Snow Queen will warm love to Snow Troll. 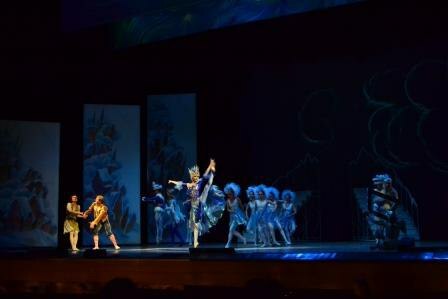 A new interpretation of the famous fairy tale was shown on the stage of Kharkiv Theatre. This performance is the debut work of a young Kiev composer Alexander Shimko. The staging was transformed into a beautiful dance by the Honored Artist of Ukraine, ballet-mistress Alla Rubina. The work on the “Snow Queen” lasted more than six months. For the first time in the performance on the Kharkiv stage was used modern multimedia technology. After the premiere on the native stage ballet company will go on tour in Belgium where the Belgians are looking forward to it. The authors of the performance said that abroad Ukrainian dramatic art is more popular than at homeland. “The announcement of our performance was held in Belgium in the Disney show. There were presented fragments of cartoons, and professional vocalists with live orchestra performed soundtracks from the cartoons. After this conductor announced, “There is more to come! A real Snow Queen came to visit us!” I was carried on a chic sedan chair. The hall had three thousand seats, and all the spectators were thrilled. After the show was one and half hour photo session. 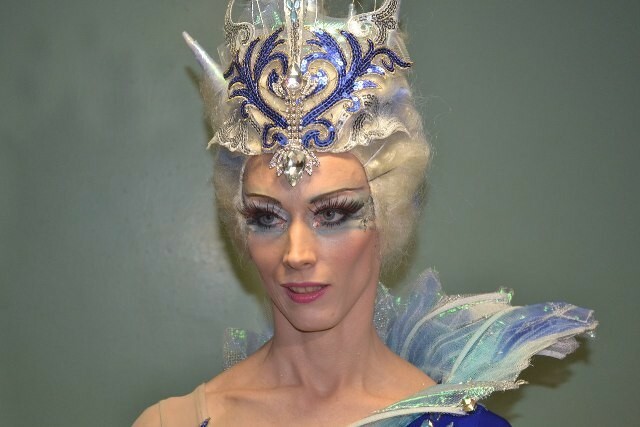 We hope that Kharkivens also liked the performance,” said performer of a role Snow Queen Elena Shevtsova.